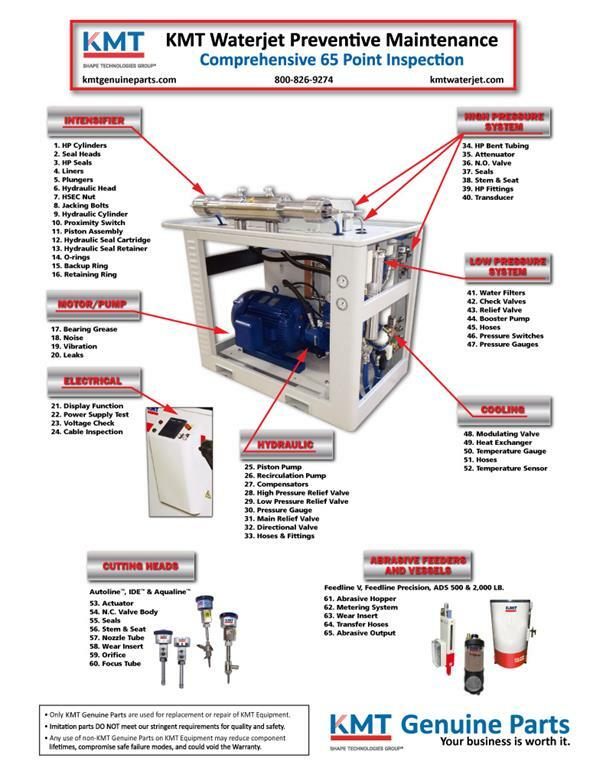 Maintaining your Waterjet equipment in top operating condition is critical to ensure optimal efficiency. The KMT Genuine Service Preventive Maintenance Program will positively impact your business as regular inspections and proactive maintenance of your intensifiers will save you both time and money. Experienced support for maximum performance and reliability. From answering basic maintenance questions to resolving complicated issues on site, KMT Genuine Service Technicians provide the waterjet industry’s best technical support. For a quote & more details, e-mail kmtgenuineservice@kmtwaterjet.com with "PM Program" in subject line.